Welcome to all our wonderful and gracious VIP�s to TORn. We thank you for taking the time to help us celebrate 10 Wonderful Years and in helping us to thank our dear Founders for having the geeky passion to make it. 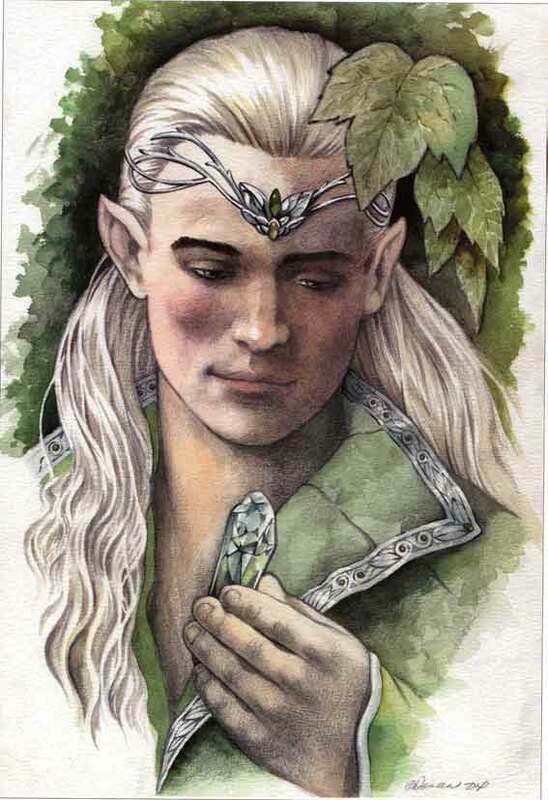 So to Xoanon, Tehanu, Calisuri and Corvar we, along with all who will be posting here, say THANK YOU for bringing into being, what we believe to be the best Tolkien site; for the fans, by the fans. "A decade- It goes by so easily- and goes mostly to your thighs and bottom. What an auspicious decade this was and how much promise the new one holds for all of us. May we all together get there and back again!" TORN may loom large in my chapter on official and quasi-sanctioned LOTR websites in The Frodo Franchise, but I certainly didn�t discover it when it was founded. Quite the contrary, I was not an early internet user. In addition, as I wrote in the preface in the book, I was one of those Tolkien fans who deliberately ignored the making of the film trilogy, not wanting to get my hopes up about the adaptation. It was really only after I decided to write about the film that I ventured onto the internet to any real extent. That was in early 2002, and originally my project was to do an article, subsequently published in a film-studies journal called The Velvet Light Trap. By the way, that article has been quoted widely, but it�s out of date and has some errors. Best to avoid it and rely on the book instead. Anyway, it was impossible to write about the film trilogy without exploring the internet, and it was during 2002 that I discovered TORN. Once I embarked upon the book project, I knew there would be a chapter on LOTR and the internet. I knew I wanted to deal with New Line�s site, with Ain�t It Cool News, with TORN, with McKellen.com, and with some samples of smaller, fan-originated sites. From the start, the four TORN co-founders were incredibly generous with their time and recollections. My first interview was with Corvar, on June 12, 2004. He happens to be a fellow Wisconsinite, so we met in a little cafe in Milwaukee. 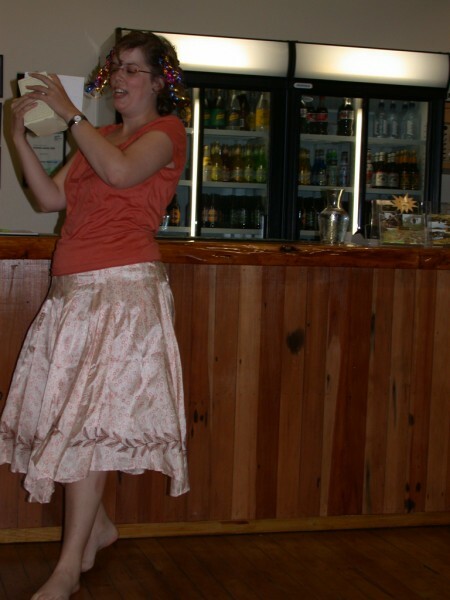 The second was with Tehanu, during my second research trip to New Zealand; she fed me a lovely meal on an incredibly stormy night in Auckland and then answered many questions. (I interviewed her a second time that November, on my third and final research trip to New Zealand.) 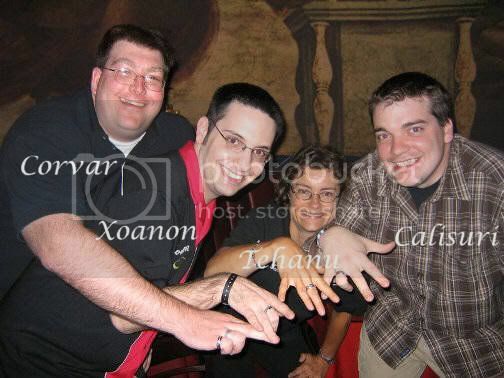 The third was with Calisuri on August 29, 2004, during one of my three research trips to Los Angeles. A few days later I talked with Quickbeam and Asfaloth in L.A., while they were still editing Ringers. I�m sure Xoanon would have been willing to let me interview him as well, but I decided it was not to be. With all the traveling I was doing, a separate trip to Canada to talk with him seemed just a bit too much. And speaking of too much, the text I was drafting on TORN was turning out to be way too long. I decided if I had yet another interview, TORN would take over the whole chapter. (I know, what would be the problem with that, right? But I got to interview Ian, too, and his webmaster Keith Stern! As it was, the internet chapter became two internet chapters.) But Xoanon was very helpful, answering questions by email. Since The Frodo Franchise came out in 2007, TORN has been equally supportive in getting the word out about the book, mentioning it in news items whenever even a small excuse to do so arose. Links to entries on my blog of the same name have sent me a lot of hits. 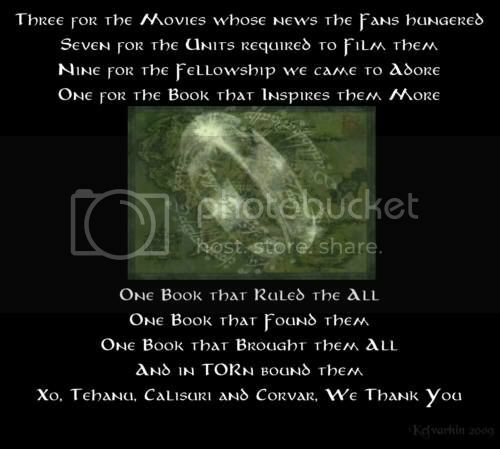 The fact that TORN and The Frodo Franchise blog were chosen as the two sites regularly linked on the recently added Shire page on Del Toro Films felt like a double honor�to be listed there and to be side-by-side with the premiere Tolkien website. Tehanu paid me the ultimate compliment after reading my book: �Your account of TheOneRing.net�s beginnings and how it functioned gets it absolutely right. More than that, you capture how it felt to us at the time. Nobody else has managed to get enough of an understanding to do that.� As many of your will recognize, that passage became a blurb on the back of the dustjacket. I quote that not to boost myself or the book, which I hardly think I need to do in this context, but to emphasize how much help I received from those incredibly helpful interviews. There�s no way I could have captured how working on TORN felt to its founders if they hadn�t conveyed their feelings to me. That my prose then synthesized all that interview material well enough to suggest the authentic early history of TORN pleases me more than I can say. Much though I hoped that my book would reach a general audience, the core groups that I hoped to satisfy were the filmmakers and the fans. If I manage to get a project on the Hobbit and bridge films launched, this time you can be sure that I�ll be monitoring TORN from the beginning! Well, okay, mine too, darn it all, lol! We're looking forward to the journey, GDT! You're one of us now, you know. (It's too late to run ). 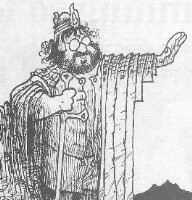 I was relatively new to the Web at the time, and had not yet learned how ill-advised (or rashly provocative) comments can come back to haunt you in a big way; I also had not yet developed into a serious academician, and so had not realized that I was supposed to be a Tolkien "expert"... complete with all the ramifications. I was just a website editor with very specific ideas about Tolkien, and thought I would be merely humored as such. I didn't expect to be translated into Spanish and Swedish, you know! As my later books came into print, Xoanan was kind enough to give Peter Jackson in Perspective the highest recommendation possible: "A must-read!" The book is still the only comprehensive single-author examination of Jackson's film on the market. As I hit the convention circuit and entered my "public speaker phase" (nods to Little Big Man here), the ORCs in Pasadena and Burbank have to rank with the best of experiences, as I had the pleasure of finally meeting Tehanu, Xoanon, Altaira, Mr. Cere, and Balin (bless his soul) among many others. Thanks, all, for dragging me along on your fabulous ride. Congratulations for doing something truly unique, vital... and unforgettable. Indeed we could have no better companions than TORnsibs for going there and back again - and you are definitely a TORnsib now Mr Del Toro, whether you like it or not! Thanks for being so supportive of our community - we love having you here! What a great ride you've had, too. We're so glad you're part of our Tolkien community. Thank you for contributing your natural talents at moderating, and participating in, panels to our conventions. Though I had been a Lord of the Rings enthusiast since I was a little girl, I never dreamed I would one day grow up to illustrate something that has become such an important part of my life. I stumbled upon the TORn website years ago before the first film came out, and was delighted to meet a number of people from TORn at a San Diego Comic Con where several of my publishers were promoting my work. I stopped by to watch the TORn crew set up before the convention officially opened, and Garfeimao recognized me and brought me into the fold. She kindly introduced me to other TORn types, and some of the cast as well, who were also hanging about before the show, including Sala Baker and Lawrence Makaore. Then I was taken aside and introduced to Richard Taylor and Daniel Falconer. This generosity was not only most appreciated, but the kindness and interest of the people at TORn helped to bring my work to the attention of some of the official LOTR licensors, who later hired me to do work for them. So, not only was it a great experience to meet so many new people here, and to have found so many new friends, but being a part of the TORn family has helped me to realize a lifelong dream: to illustrate scenes and characters from The Lord of the Rings. Coolest job ever! The LOTR fans are the most generous and friendly fans I have ever met. Downright hobbity. Good food, good conversation, good fun. Of all the conventions I have ever attended, it is the LOTR conventions that I most WANT to attend. They feel like family reunions. Thank *YOU* for bringing your wonderful talent, outlook and enthusiasm to our gathering! Here's to our association growing and continuing to flourish over the next 10 years. "Ten years, eh? The TORn site and the people associated with it are unique and wonderful, and my friendship with all of you has been fruitful and a total blast - ahhh, Dragon*Con! Live long and prosper!" "I've managed to get some writing done in the past year. My chapter "The Evolution of Glaurung and Smaug" will be included in Good Dragons Are Rare: An Inquiry into Literary Dragons East and West, edited by Drs. Fanfan Chen and Thomas Honegger, ALPH No. 5, published by Peter Lang: Frankfurt, Berlin etc., 2009, 460 pages. My latest short story, "The Veritas Experience," was published Feb. 16, 2009, by Absent Willow Review." Wishing you continued success, Anne! that Tolkien has evoked since the enlivened discourses in the Eagle and the Child over 60 years ago. Now 'our' GdT has(sir:) ) in his delight, and found bliss, has joined us on the crest of new wave with the Hobbit. Thank you for sending word to us sir,as you have in the past. It is an honor. I've got a few of your twin elf rider items and love them! to this journey, there and back again not only with Bilbo and the Dwarves but with you and the whole team as well! All the best wishes, Guillermo! Thank you, Doug - we look forward to include you in this big family as well! The chapter about TORn was one of these I particularly loved; as interesting as the whole book is, it was so exciting to read about the site where I spend so much time and to see names there and in the fanfic chapter I knew not just from the film business world, but names of normal people. It was just great to see them being mentioned at all, and in such a lovely way! It is such fun having you with us to celebrate our decadeversary:). The fact that you have taken such interest here, from my humble standpoint, very much amazes me and i dwell in such delight. Thank you very much for adding your thoughts here on our Feedback. No website has provided such a platform for fandom and creativity across literature and film as TheOneRing.net and for that we salute you! Past, current and future crew at Weta will be forever spiritually connected to TORn and we are absolutely relishing the opportunity to take on future journeys together - there... and back again... naturally. Where you can also see your card in high resolution glory. It's so "cool" (I can't come up with a better word at the moment) you are doing this for our TPTB, they deserve it of course, but still, you taking the time to do so: thank you . And I love the little movie. And thanks to all of you guys for creating all the magic. I thought... look, there's Richard Taylor... and Daniel Falconer... and is that Dan Hennah... and Gino behind the helmet? And then OH... it's Guillermo. LOL.. it's pretty good when I recognize the props guys before the director on board. for my dial-up to slowly download the video, I just want to say thank *you* all for putting so much of yourselves into bringing LOTR to life for fans around the world - and for popping in to join the celebration! *pops a keg of 1420* Cheers! on our celebration. It has been a quite a ride, truly. All the best to you in the future. 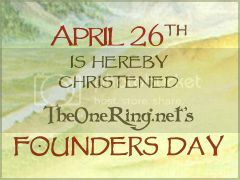 "My dear Bagginses and Boffins, Tooks and Brandybucks, Grubbs, Chubbs, Hornblowers, Bolgers, Bracegirdles and Proudfoots. "...um, Proudfeet! What can I say? We, including and especially myself, are proud and honored to be working with TORn...and have no doubt: those involved are the elements that make it truly special. Passionate, respectful, and insightful...they embody the best of Tolkien...and I am so thankful to be part of their Fellowship. However, unlike the Fellowship that came to an end with the crowning of Aragorn, our Fellowship will continue...and grow...and be the wellspring of friendship for us all. While I've worked directly with Chris, Mike, Deleece, and Larry...let me say: the whole is certainly more than its parts...though its parts are indeed mighty.